This is the stranger-than-fiction story of two soul mates who rejected the status quo and embraced higher ideals . . . and had a whole lot of fun while they were at it. Reclaiming Pagan as a spiritual identity—and living in an open marriage for over four decades—Oberon and Morning Glory Zell truly embody the freedom to think, to love, and to live. Telling the stories of their singular lives in this unique oral history, Oberon and Morning Glory—together with a colorful tribe of friends, lovers, musicians, homesteaders, researchers, and ritualists—reveal how they established the Church of All Worlds, revitalized Goddess worship, discovered the Gaea Thesis, raised real Unicorns, connected a worldwide community through Green Egg magazine, searched for mermaids in the South Pacific, and founded the influential Grey School of Wizardry. 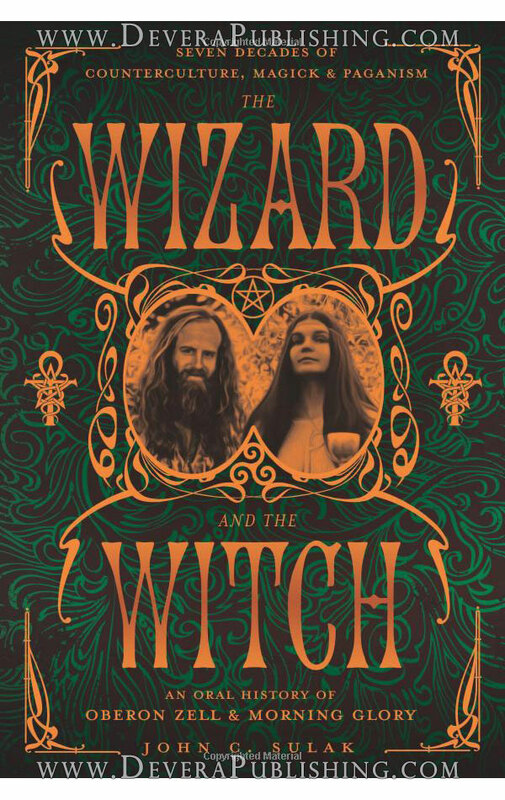 Join Morning Glory and Oberon as they share the highs and lows of their extraordinary lives, and explore the role they played in shaping the community of Witches and Pagans that thrives in the world today. Includes a 16-page color photo insert. Here is the book Merlin would have given a young Arthur...if only it had existed. This essential "Boy Scout Handbook" of Wizardry contains everything an aspiring Wizard needs to know. It is illustrated with original art by Oberon and friends, as well as hundreds of woodcuts from medieval manuscripts and alchemical texts- - plus, charts, tables, and diagrams. 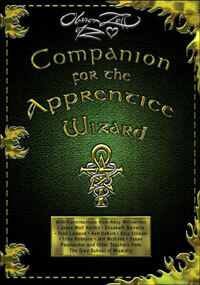 By Oberon Zell-Ravenheart, with contributions and additional material from Raymond Buckland, Patricia Telesco, Raven Grimassi, Ellen Evert Hopman,Jesse Wolf Hardin, Amber K, Fred Lamond, Abbty Willowroot, Jeff McBride, Morning Glory Zell-Ravenheart, and other illustrious members of The Grey Council. Oberon focuses on taking you to the next level by putting those lessons to use with hands-on magickal training. 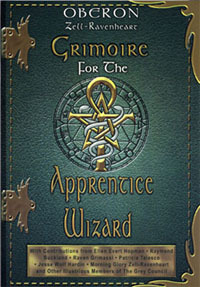 Inside you will find materials and exercises from the vaults of Oberon’s Grey School of Wizardry, and instructions from the faculty. Creating Circles and Ceremonies is the accumulation of decades of circles, ceremonies, rituals, Mystery plays, initiations, rites of passage, and other magickal workings co-created by the Zell-Ravenhearts, today’s foremost Wizard/Witch couple. Book I presents a basic ritual outline. Each element is followed by numerous examples which may be "plugged in" to customize your own ceremony. 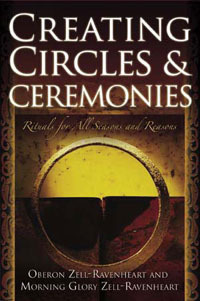 Book II gives numerous examples of actual ceremonies: Esbats (full Moons) and special occasions; Rites of Passage; Mysteries and Initiations; spells and consecrations. These can be adapted and modified as needed for any size group—from small family gatherings in your living room, to huge outdoor celebrations involving thousands of people. Book III provides an assortment of full rituals and ritual elements for celebrations of the eight great seasonal festivals called the Wheel of the Year. Versions of these have been commemorated for millennia in most traditional cultures of the Northern Hemisphere; and today are universal throughout the worldwide Pagan community. Strange beasts of all kinds have crawled, run, swam, and flown through humanity's imagination and travelers' tales since the dawn of time. 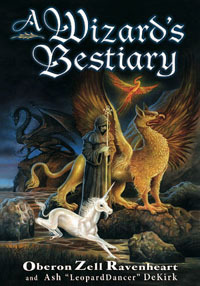 From Gryphons and Unicorns, to Dragons, Mermaids, and even more bizarre and fantastical animals, A Wizard's Bestiary takes you on a magical journey through the ages and around the world, to discover elusive creatures of myth and legend. Beware--here be Monsters! The first section lists over 1,000 fantastic creatures from every land in an encyclopedic, alphabetical glossary format, from Aatxe to Zyphoeus. Each entry includes a small illustration, as well as cross-references to other related beasts. Next, the authors present more in-depth features on some of more interesting of these legendary beasts, such as the Sea Serpent and the Man-Eating Tree of Madagascar. History, myths, and legends of each creature are presented, with particular emphasis on identifying real-life origins of mythical creatures in actual living animals, such as the link between the Kraken and the giant squid. Expanded cryptozoological entries include the Loch Ness Monster, Bigfoot, Mokele-Mbembe, El Chupacabra, Mothman, and other mystery monsters reported by eyewitnesses but not yet confirmed by science. A Wizard's Bestiary is profusely illustrated with old woodcuts, engravings, and other images from historical sources, as well as interpretations by modern artists, including the authors. No other bestiary has been so well-illustrated! Hand-drawn medieval-style maps by Oberon Zell-Ravenheart show purported locales of different beasts on all continents and seas. 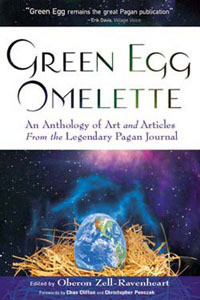 Selections from 40 years of Green Egg include articles from numerous contributors, including: Antero Ali, Gareth Bloodwine, Isaac Bonewits, Marion Zimmer Bradley, Raymond Buckland, Phyllis Curott, Ivo Dominguez, LaSara Firefox, Ed Fitch, Jesse Wolf Hardin, Anodea Judith, Timothy Leary, Deborah Lipp, Ralph Metzner, M. Macha Nightmare, Diana Paxson, Gwydion Pendderwen, Starhawk, Robert Anton Wilson, Michael York, and many, many others! Experience the magick, the mystery, the humor and the history as it first appeared--in the pages of the Green Egg.